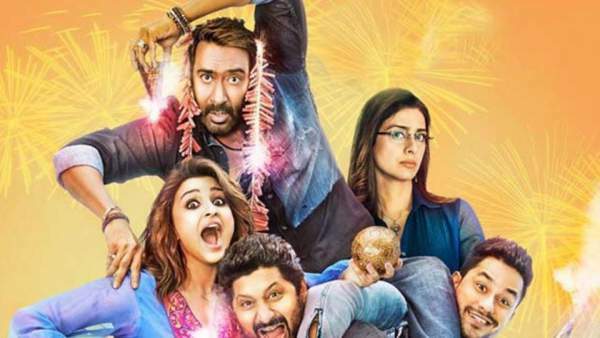 Golmaal Again 2nd Day Collection: The latest Bollywood movie starring Ajay Devgn took a big start at the worldwide box office. It started on a good note on Saturday too. And the early trends state that it will earn close to what it did on Friday, yesterday. The pace is steady on which it is faring. So far, it has sustained itself and the drop from the 1st day to the second day is minimal. It witnessed a bang start and registered an average occupancy of 60%. The numbers are similar to that of yesterday and it’s even better at some places. It got the best start in regions of Mumbai and Gujarat. The film is running at its peak at not only on single screens but also on Multiplexes. At numerous places, it is faring steadily. The film will witness an expected drop as it is the working day after the national holiday of Diwali festival. It’s normal and expected. As the number of shows is being increased, it is being expected that it will benefit the film. Tomorrow is Sunday, a holiday, so, today’s evening shows have got good advance bookings. On the first day, Golmaal Again collected Rs. 33 cr. It registered the highest opening of 2017 calendar. It also became the highest opener for Ajay Devgn till now. Bookmark and page to stay tuned to the latest updated reports.